Jeff, Ryan, Craig, Dave, Lisa and Chris with their catch! 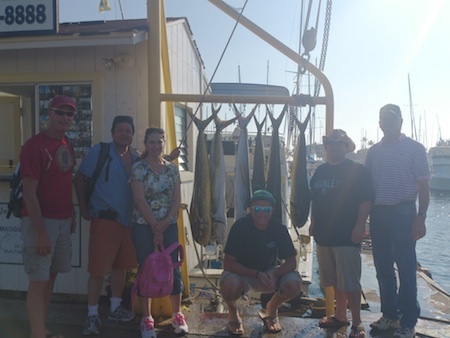 Mahalo to Jeff, Ryan, Craig, Dave, Lisa and Chris for choosing Maggie Joe Sport Fishing! They brought in a handful of tuna’s and a Marlin after a nice day of deep sea fishing. Aloha! Boat Load of Mahi Mahi! Jeff, Aaron, Justin, Katherine and Jason with Captain Darryl! Big Mahalo to Jeff, Aaron, Justin, Katherine and Jason for choosing Maggie Joe Sport Fishing! 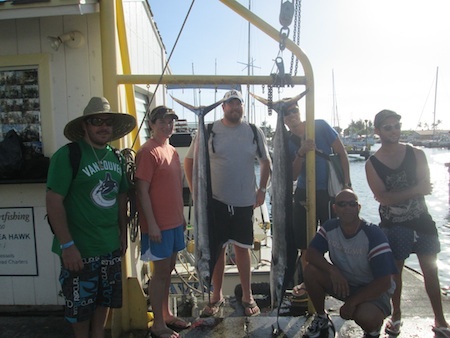 The group joined Captain Darryl aboard the Sea Hawk on a sport fishing charter. While deep sea fishing off Honolulu, Hawaii they hauled in a pair of Short Billed Spearfish! Aloha! Tony Sr, Shirley and Tony Jr with Short Billed Spearfish! 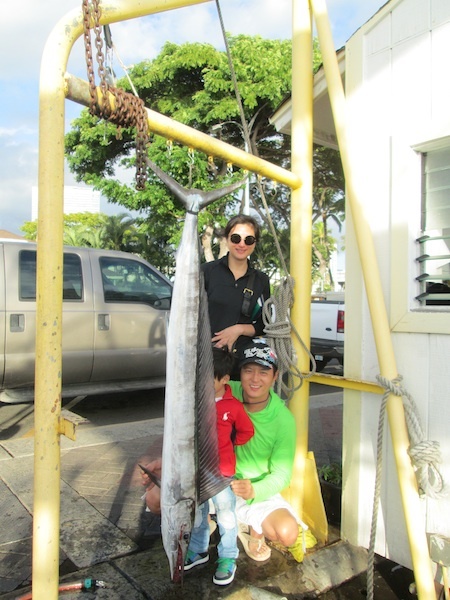 Mahalo to Tony Sr, Shirley and Tony Jr for choosing Maggie Joe Sport Fishing! 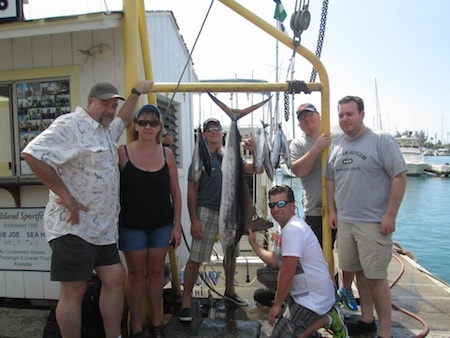 They joined Captain Mike aboard the Maggie Joe on a sport fishing charter. They hauled in this nice Short Billed Spearfish while deep sea fishing off Honolulu, Oahu!